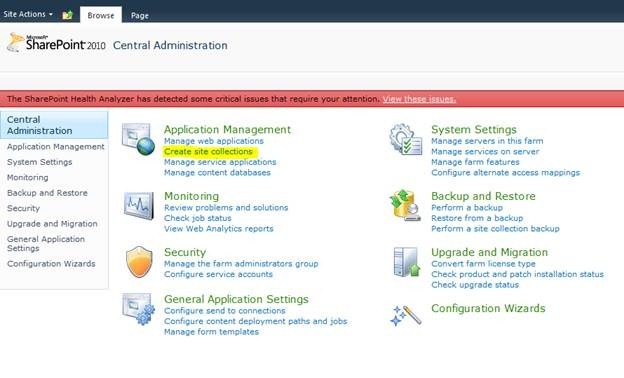 In the previous article we have seen how to view the existing web applications using Central Administration. 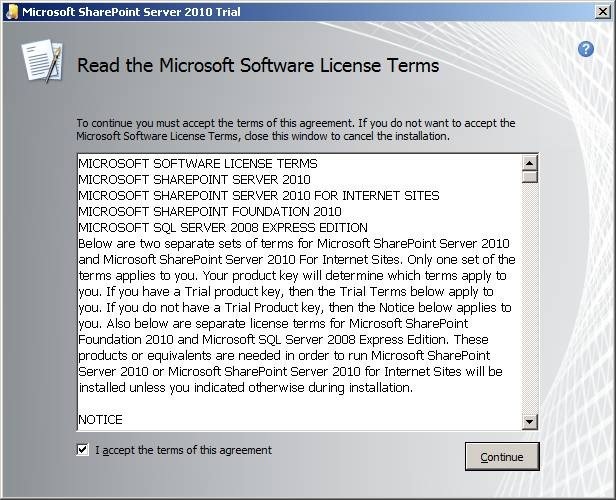 The above highlighted applications represent the SharePoint port 80 web application and Central Application web application. 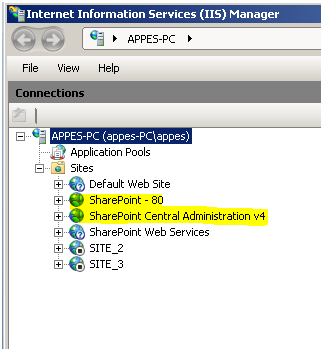 Now we can create the web application inside our SharePoint instance. New web application can be used to support a new set of users. For creating please follow the following steps. 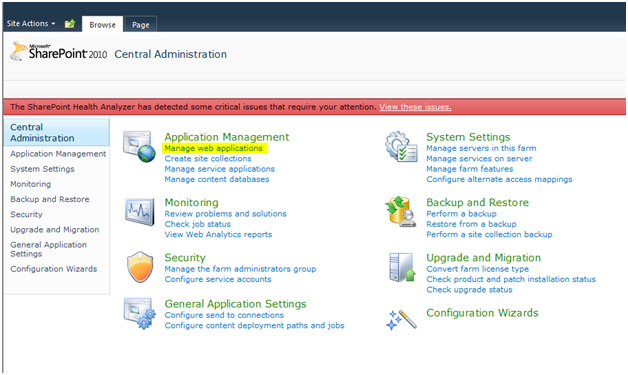 Open the Central Administration from Start Menu and click on Manage Web Applications item. In the appearing window you can see 2 items. The default web site and Central Administration site. 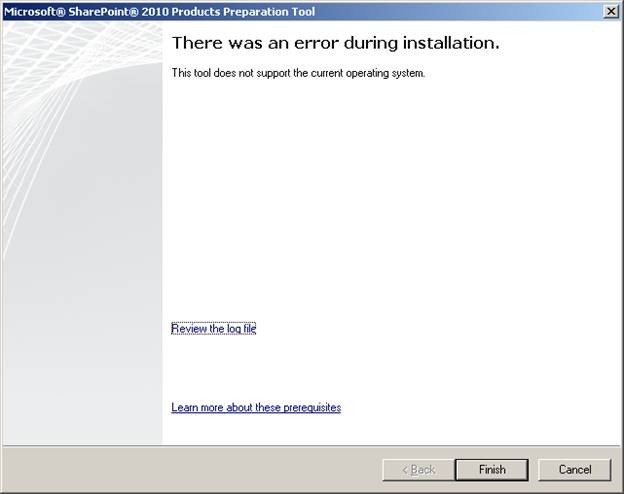 The default web site is created on SharePoint installation. The Central Administration is the website which is used by Administrators – it contains items to manage existing web sites, create new website and other tasks. Click on the New button from Ribbon UI. 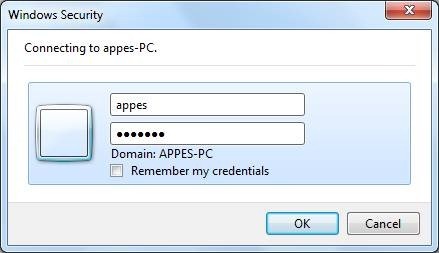 Leave the default values except in the Security Account in Application Pool. Press the Ok button and you will see following busy screen. Web Application creation is a time consuming process and may take several minutes. Waiting for a while you can see that the new web application is created. Please note the port number of our new web application. 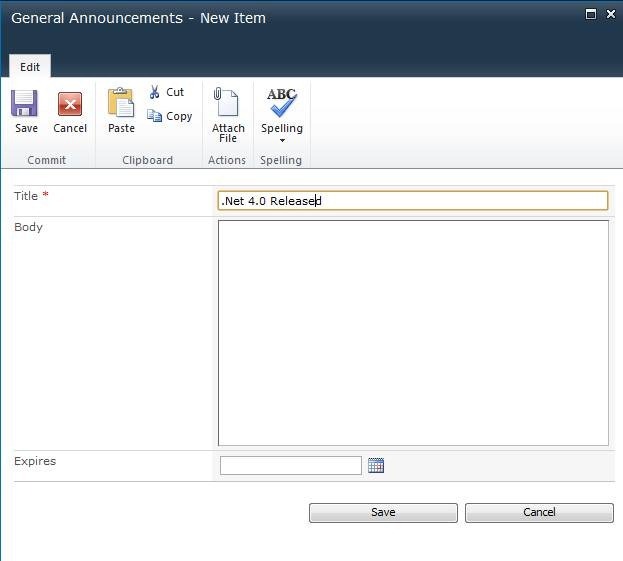 In this article we have seen how to create a new web application using Central Administration. Please note that each web application created are created inside IIS for the machine. 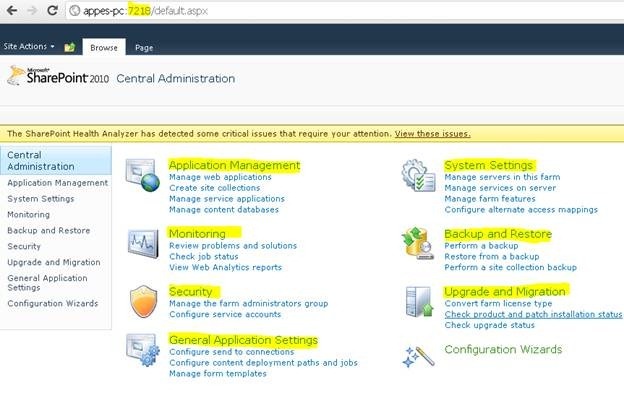 In this article I would like to experiment with Central Administration web application. 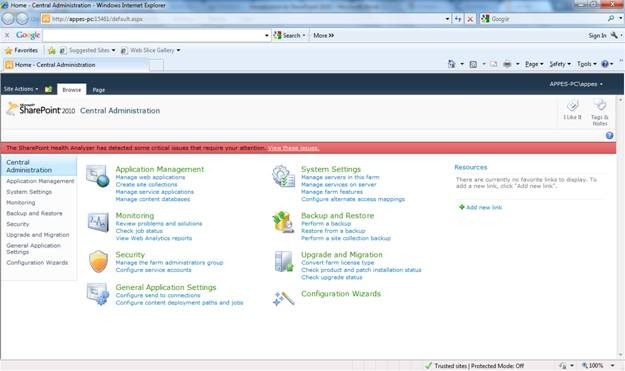 · Configure Search, Services, Migration Assisting etc. In summary the Central Administration is the Administrator/Developer tool. It is used to manage the websites for other users. Now we are ready to explore web applications. Before that we need to go through the hierarchy of web application, sites etc. 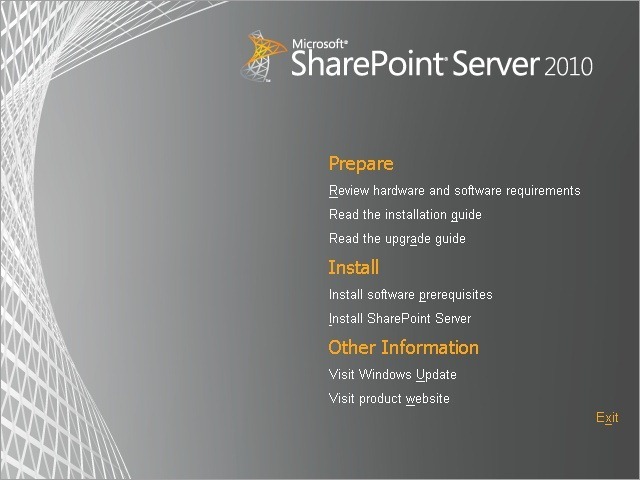 Following is the hierarchy of SharePoint Farm, Web Application, Site Collection, Site, Lists and Documents. 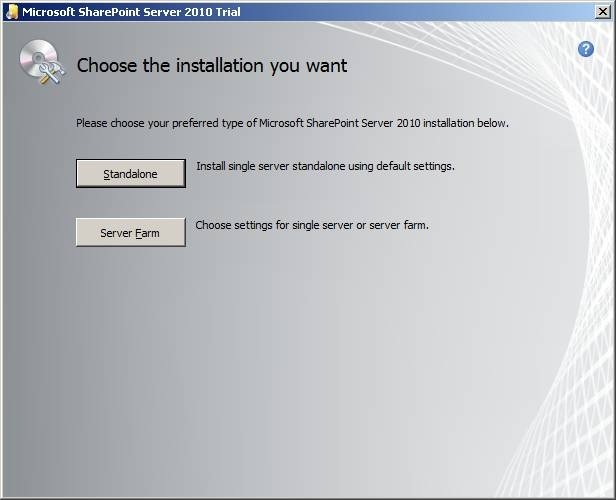 Server Farm: Server Farm contains multiple components like SharePoint server, Database server providing multiple Web Applications spanned over multiple machines. For development machines one single machine can support all the components. Web Application: Web Application contains multiple Site Collections. This could be equivalent to an ASP.NET application. Site: Site contains Lists, Documents etc. Please note the URLs for each web applications. 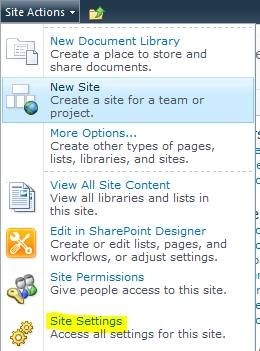 In this article we have seen the hierarchy of SharePoint and creation of WebSite and SiteCollection. 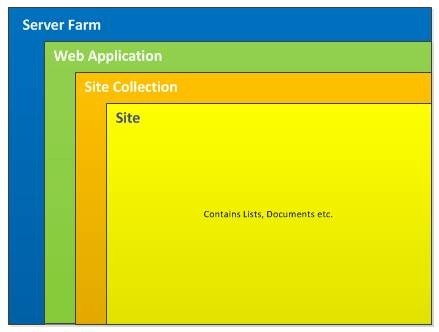 In this article we can focus on Lists in SharePoint. 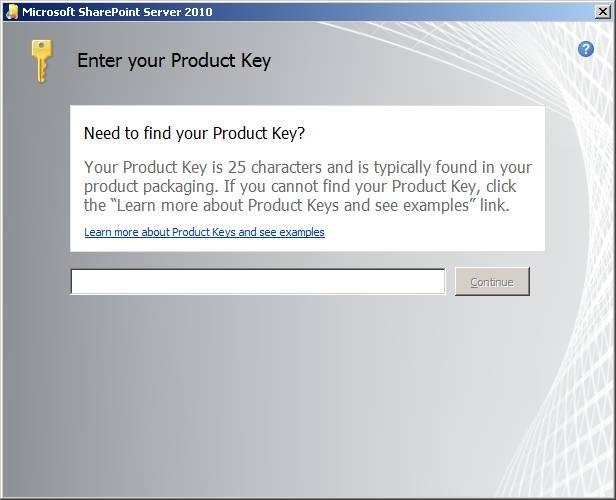 We can create multiple lists in SharePoint 2010. The limit can be configured through Central Administration. For starting with use our site collection url to open the page. Now we can start by creating a List. 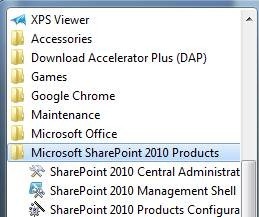 As mentioned in the previous article a SharePoint List is a collection of items. We can specify columns as metadata for the List. We can create List based on existing templates or from scratch. Click on the Lists option from the left side and click the Create button. The following dialog box appears. Choose one of the template for example Announcements. Enter the name for your list and Click the Create button. The new List will be created as shown below. You can use the Items or List ribbons to add item, or modify the view. Click on the Add new Announcement link from the List and you will get the following screen. Enter the details for Announcement and click the Save button. Your new item will get displayed as below. We might be requiring deleting an existing entire List. In this case do the following steps. Now the list will get deleted from the site. Note: In a list there is always an ID column which is hidden. So while creating custom columns for the list, the name ID will be reserved. It is case-sensitive too. SharePoint allows us to manage large amounts of data. The data are actually stored inside SQL Server database tables. So we can suggest the Indexing feature of tables to allow faster fetching of records. We can use the Indexed Columns feature of any List to provide Indexing. 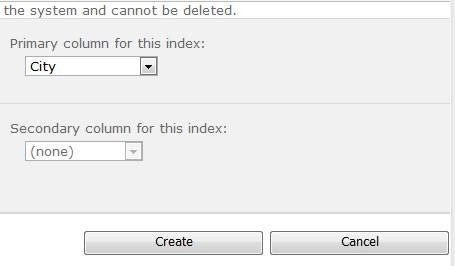 Click on the List Settings > Indexed Columns link to pen Indexed Columns page. Use the Create a new Index in the upcoming page. 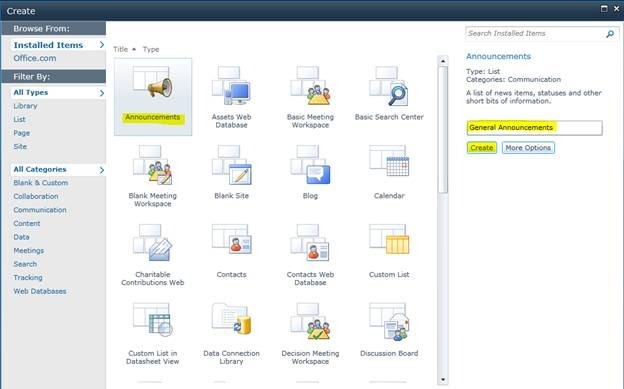 Choose the column for Indexing and click the Ok button to create Index. Now the Index will be successfully created and shown in the Index details of List. In real world scenarios Indexes provide high leverage in data loading and manipulations. 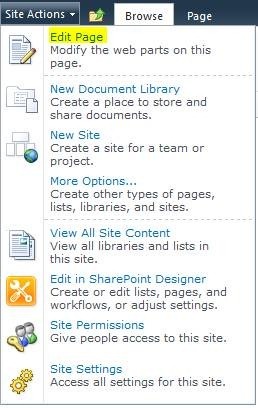 In this article we have explored Lists and Indexes in SharePoint. The list provides an interface to store related entities and library provides document storage facility. There are many more templates to explore in the List section. In the previous article we have seen how to create Site Collection and Lists, Libraries inside it. 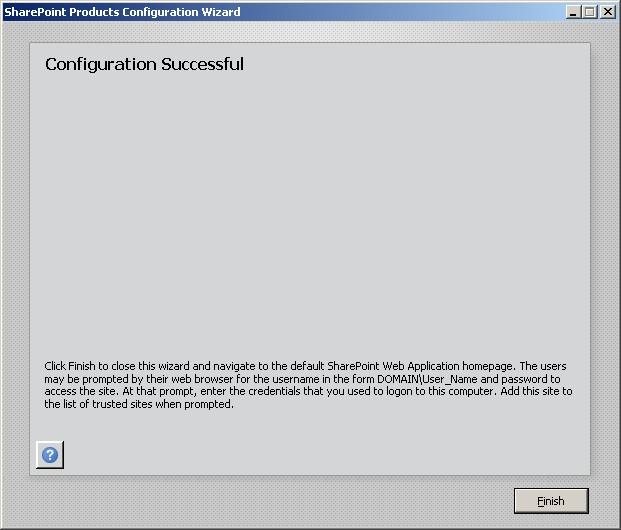 In this article we can explore how to configure a site. This is the main page displayed on accessing the url. We can customize the page by adding more contents to it. For this, use the Site Actions > Edit Page option from the left side menu. Time being, we are adding a Content Editor Web Part. Click the Add button to add the web part to the page. 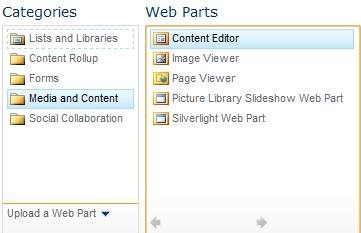 Use the highlighted area to add new content to the web part. You can add your own contents about the site. You can use the Formatting Ribbon for text formatting, Page Ribbon for inserting Hyperlinks etc. After the editing is finished use the Page Stop Editing button. 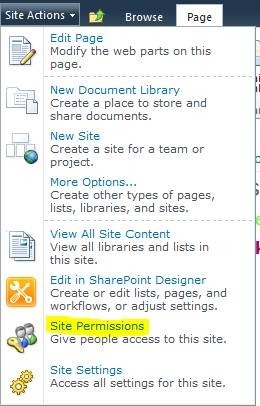 Another important configuration feature is Site Permission. 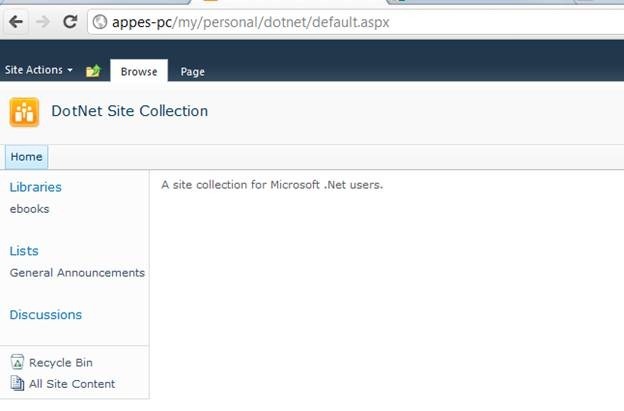 Using Site Permission we can enable/disable site users for a particular site collection / site. Use the Site Settings > Site Permissions menu item to get the screen. On clicking the Site Permissions item, you can see the following screen. You can select each group and add/remove the users/user groups inside it. In this way the site read/write permissions are managed. You can always create a new group using Create Group menu item from the ribbon. There is also a special group called Site Collection Administrators accessible from the ribbon. The Site Settings can be accessible from My Site > Site Settings menu item. 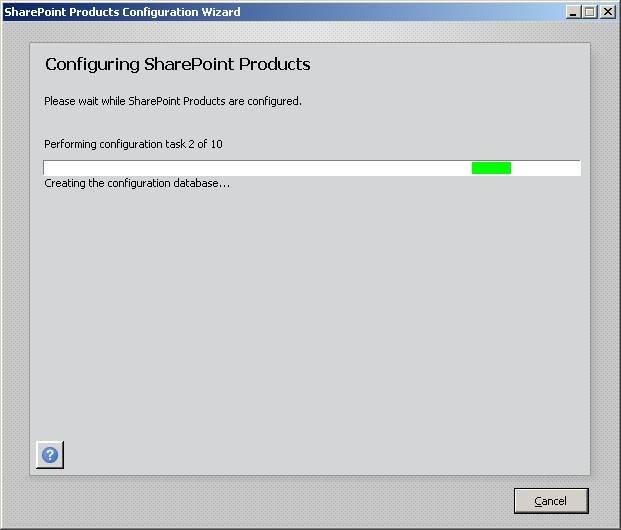 In this article we have explored Configuring a site in SharePoint 2010. In this article I would like to experiment with Top Level Site creation. We need to use the Central Administration application to do this. A site collection is a group of web sites that have the same owner and share same settings. For example A Document Site Collection can contain Word Document Site, Excel Document Site under it. 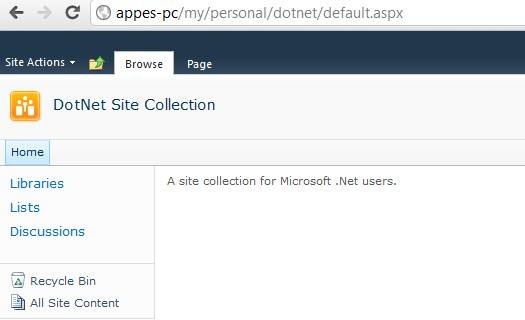 Please note that we should create a site collection inside a web application. What is Top Level Site? Subsites are those sites under the site collection. Top Level site is a site not created under another site. A top level site can have subsites under it. All the content of site collection are stored inside the configured SQL Server database. We can add upto 15000 (configurable value) site collections inside the content database. Often the term sites is used to represent site collections. Now we can experiment with creating site collection. 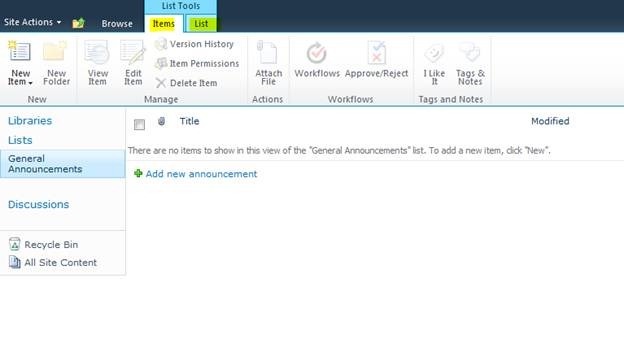 Open the Central Administration web application through the start menu. 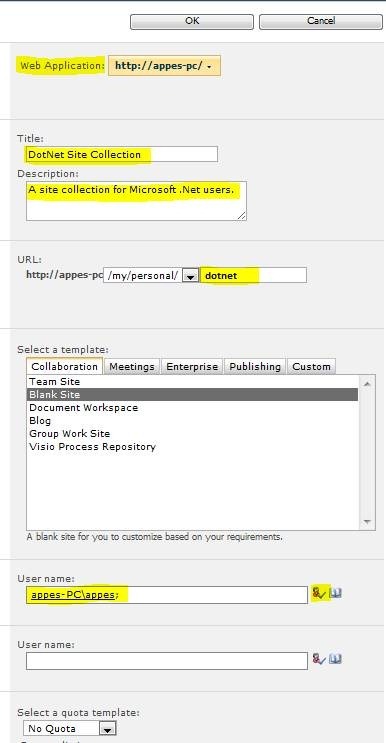 We are going to create a site collection for a group of Microsoft .Net users in the company. Click on the Create site collections link as shown above. You will get the following screen. Choose your web application. By default there is only one web application. Enter the url suffix. This url can be shared for the group of users. The users who are allowed to access this site collection. Use the Check Names option to auto complete the qualified user name after entering the user name. On clicking the Ok button and waiting for a while the new site collection will get created. A message appears like shown below. Click the Ok button to return to Central Administration. Now you are ready with the new site collection. You can share the url between the intended users. On my machine the url was: http://appes-pc/my/personal/dotnet/default.aspx. Opening the url in browser the following page was displayed. 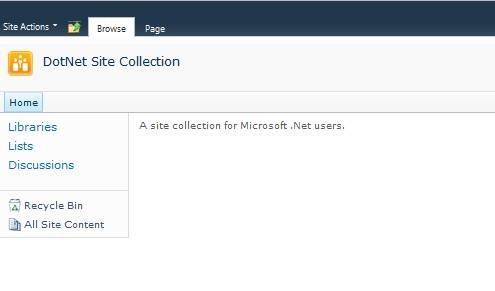 Now the users of the site collection can create new sites inside this site collection. We can explore that in the next chapters. In this article we have explored Site Collection Creation. Please note that an ordinary user do not have permission to create top level sites.